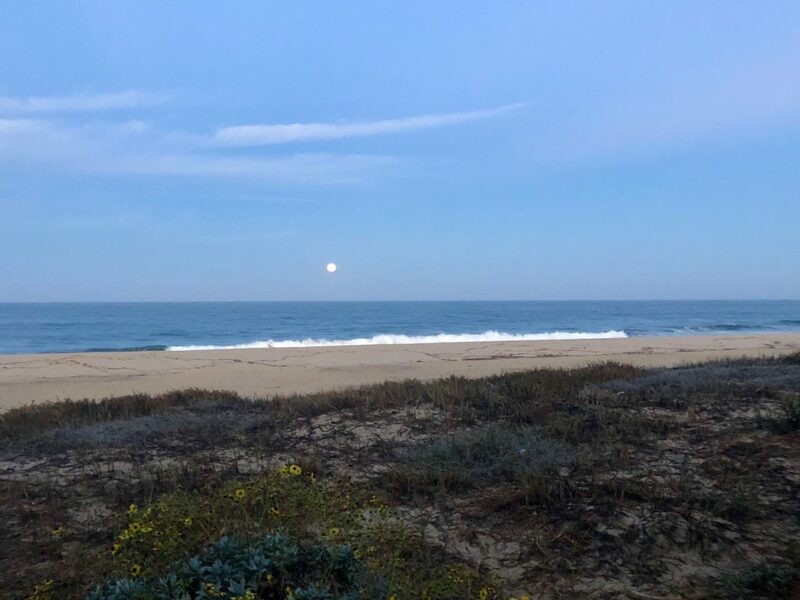 After playing with my daughter under a morning sky lit by the pink full moon, I walk up to my beachside office at Casa Azul for the last time during our stay in Baja this season. Here, I have watched whales breech while clients shared victories; listened to birds underscore coaching certification calls; and found calm in the rustling of palm fronds while wrestling through the challenges of growth and learning. I open my email to find my coaching certification documents enclosed with a letter of congratulations for passing my oral and written exams and completing all of my hours – and a trail of congratulations from my pod members after that. I am just off my third back-to-back coaching call for the day that has shown itself to be a celebration of sorts. It just so happened that during each of the calls, clients shared what they have received from our coaching. I am left amidst the wonder of the heart being seen. As a coach, I follow my intuition and use skills both natural and honed. I often sense when resonance between my clients and I is high, and I see results pouring forth in their lives. And yet I do the work often times not knowing how deeply it is being felt. This office has seen a full cycle of learning, a gestation and birth of sorts. Today is a celebration. It is also a transition. I will depart tomorrow with a very full heart.